Wow, last week was quite an IHRSA event. I just penned a note of thanks to several IHRSA leaders because I thought this years convention in Los Angeles was really great. There were so many highlights I can't get to them all, but thought I'd share a few for those who might have been unable to attend. First, Simon Sinek and Guy Kawasaki were super keynote speakers. A little tip for those who did not know is this; when you contribute to the IHRSA Industry Defense Fund, you get very special access to these speakers, literally almost one on one. So consider making a contribution today before IHRSA 2013. 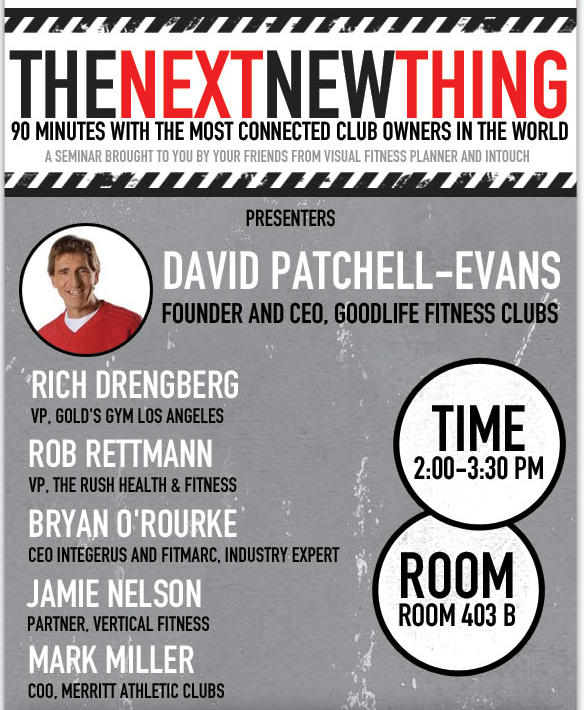 Second, a roundtable conducted by the people from Virtual Fitness Planner and InTouch featured a panel of 5 of the leading club operators in North America. It was exceptional and the room was packed. Thankfully I got to participate along with super stars like Patch Evans, Rich Drengberg, Mark Miller and Jamie Nelson. Daron Allen and his team created an interesting exchange centered around my recent research, The 2012 Trend Report - 12 Interesting Trends That Health Club & Fitness Leaders Should Keep An Eye On - hit the link and you can get a free copy. The tools that Virtual Fitness Planner and InTouch introduced are pretty cool. Check it out. I really enjoyed attending a wonderful dinner Thursday night, hosted by Michael Bruno, owner of Land America, Star Trac Fitness, Core Health and Fitness and StairMaster - Schwinn, among others. Michael and his wife Lin Qing are the most gracious hosts one could ever meet. Attending were the who's who of the health club and fitness industry at one of the most touted Italian restaurants in North America. My partner, Robert Dyer, was there along with the Lynne and Victor Brick, Mark Smith, Tony de Leede, Patch Evans, John Baudhuin, Ed Trainer, Sal Pelegrino and many many others. What IHRSA would not be complete without visiting with our Gold's Gym Friends and the GGFA team. It was good to see CEO Jim Snow, our friend Tim Keightley and others. Another great GGFA event hosted by Ginger Collins. Thanks to the Gold's Franchise community. Finally, I can't forget to mention my visit with Bud Rockhill, CEO of Spectrum Athletic Clubs, one of the best operators I've met as well as Phillip Mills CEO of Les Mills, who always has something engaging to discuss. Well that was only a taste of the fun filled and educational convention that IHRSA 2012 was. My thanks go out to Joe Moore, Pam O'Donnell and Meredith Poppler, to name a few, and all of the IHRSA staff for their hard work in making this a memorable event. 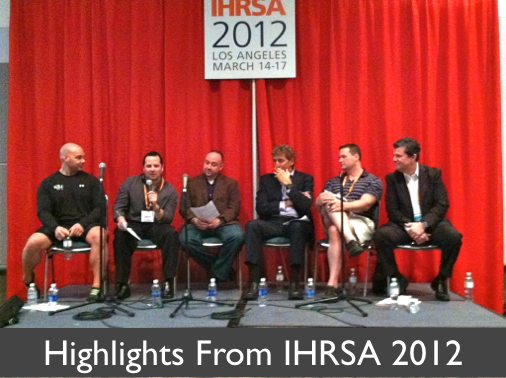 Please attend next year and let me, Bryan O'Rourke, know, what did you think about IHRSA 2012 ? I'd love to know if it you thought it was as great an event as I did.